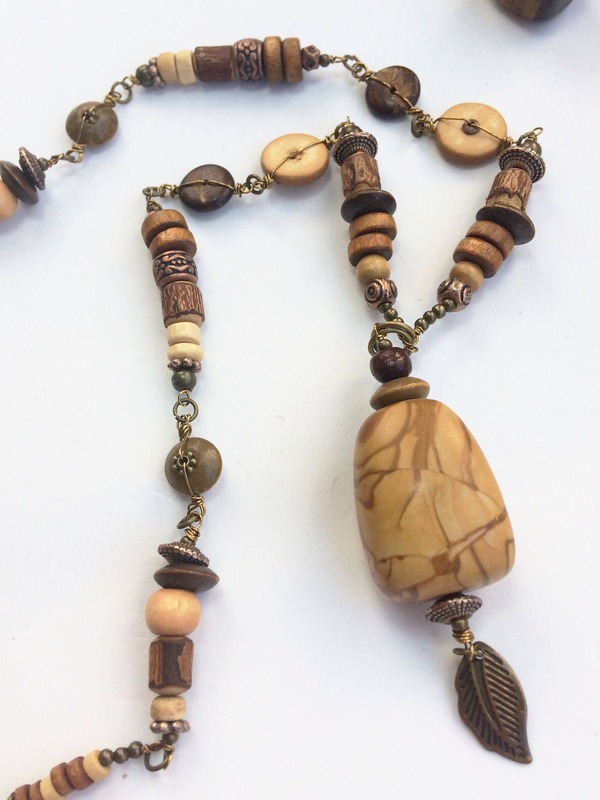 This necklace has a sumptuous mix of wood beads, rose gold and copper mixed metal details. 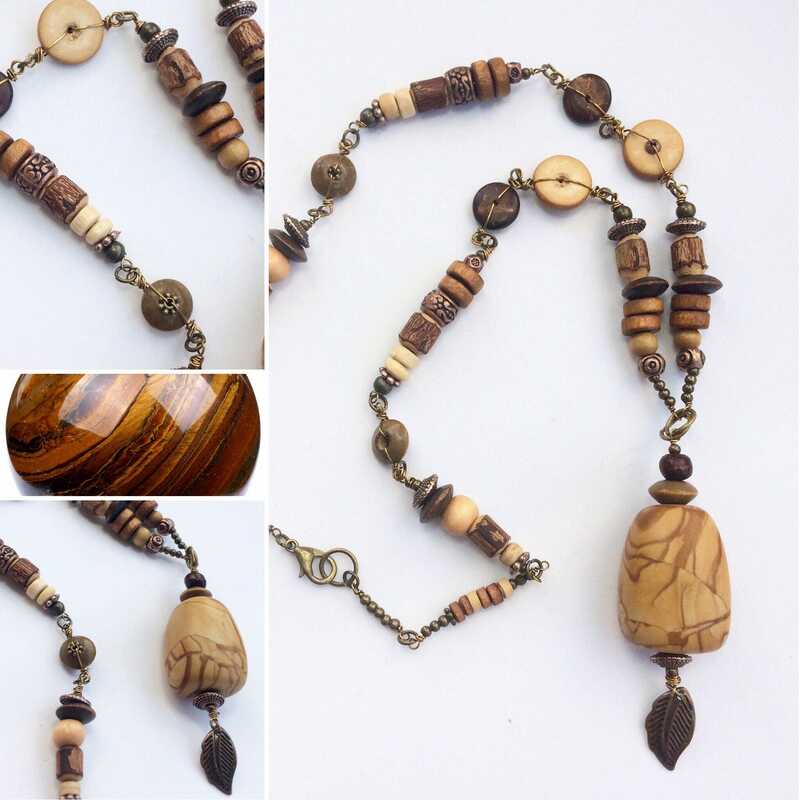 The focal pendant is jasper and measures 2.5 x 1.5cm. 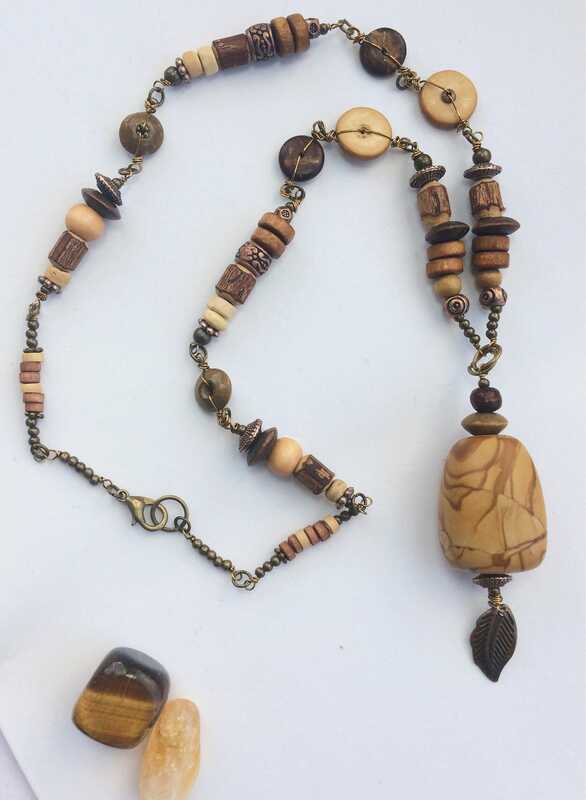 The total drop pendant length including the brass leaf charm is 7cm.The jasper semi-precious nugget gemstone is really spectacular. It is a mix of sandy brown and caramel colours. The striations and patterns are mesmerising. 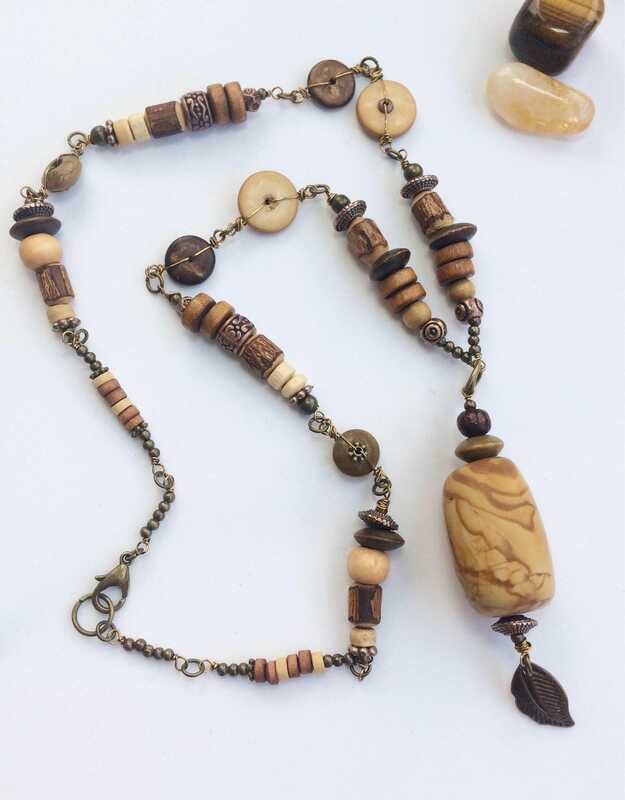 The length of the necklace (excluding pendant) is 50cm/20". 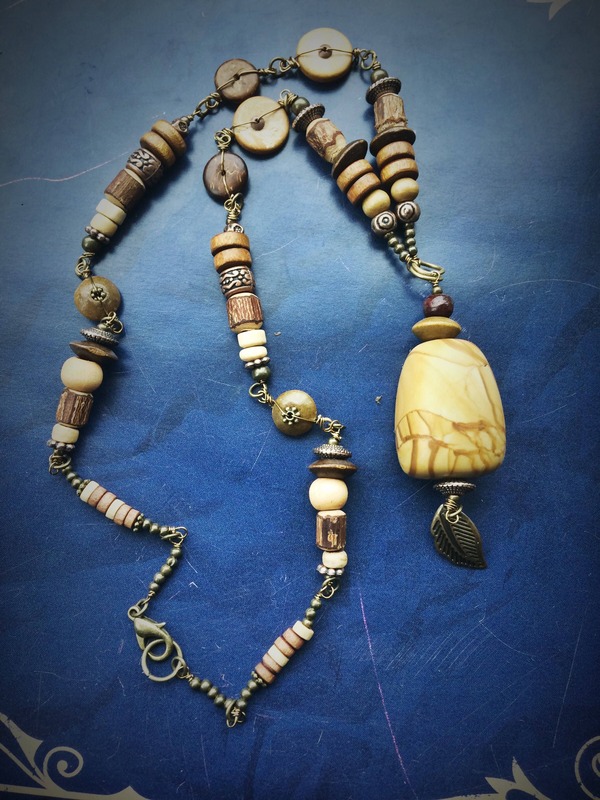 The body of the necklace is made up of copper wire-wrapped sections of mixed beads. 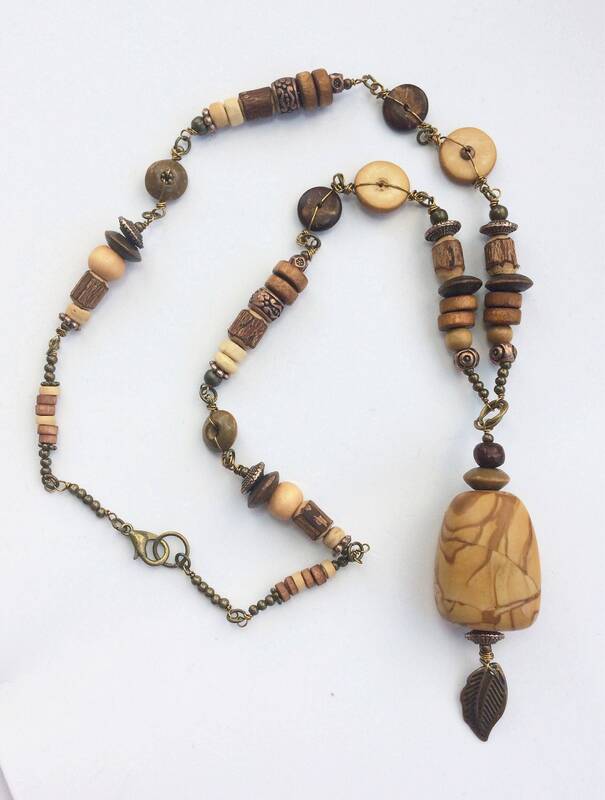 This includes unique wood beads - a great detail with its organic bark finish together with coloured wood, rose gold and copper coloured beads. 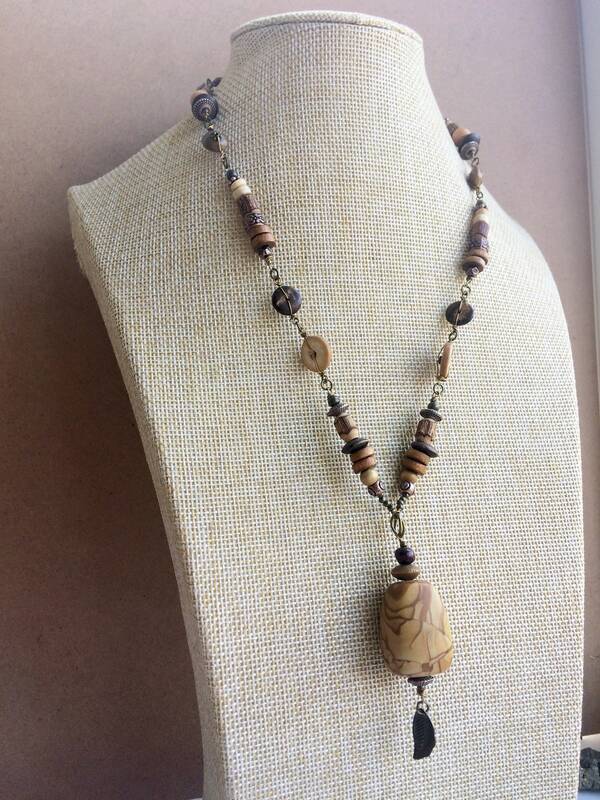 The necklace is strung with copper coloured beading wire and finished with a antique gold coloured lobster clasp. 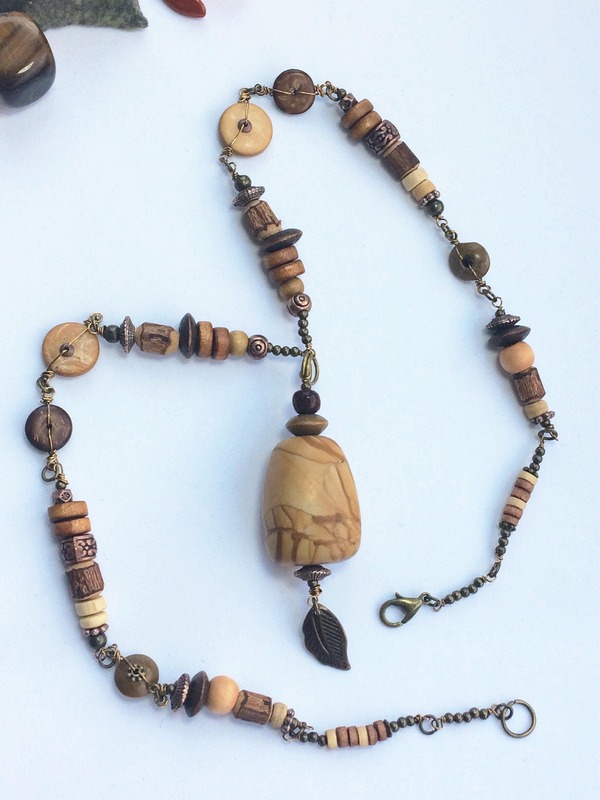 This is my favourite necklace to date as I love the colours, the organic textures and shapes and in particular the unusual jasper. 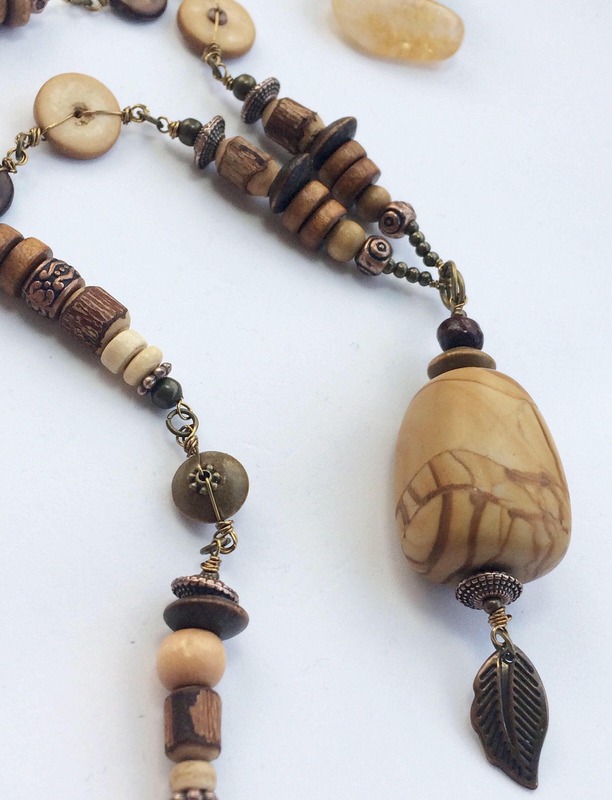 This was designed with autumn in mind, both the colours and the falling leaf charm. I hope you like it too. 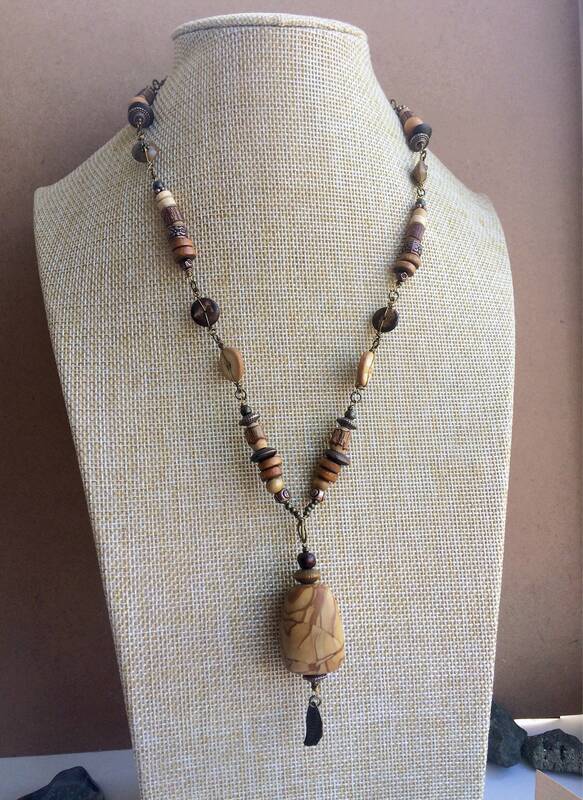 I am just getting started with necklaces but more will follow.